The co-curricular dimension of an all-round education has never been more important than it is today. This includes activities such as sport, music, drama, debating and community service. Activities like these complement the academic work of the school and provide varied opportunities, which greatly increase the probability of students finding activities at which they excel. Different activities are held every Thursday in which maximum participation of students is ensured. Activities related to sports, arts and crafts, literature, science are some of them. They entail active involvement of parents, as they are supposed to prepare their wards adequately for various disciplines. The details of such activities are provided in the almanac for the convenience of parents. 100 Days is organised for Nursery students to mark the completion of their first 100 Days at their school. Many colourful activities involving tiny tots are held to tap their talent as per their aptitude and mould them accordingly. Bal Sangam is structured for the students of classes Nur to III. It is a fair organised to hold children centric programmes. Khoj is the Night Camp which is organized every year for the students of Class V. This camp is organized to help students become self-reliant and independent, and inculcate ‘caring and sharing’ attitude for their fellow beings when their guardians are not around. It also makes them develop a feeling of team spirit. The parents have a great role in preparing their wards to stay overnight on the school campus in the company of their peers. 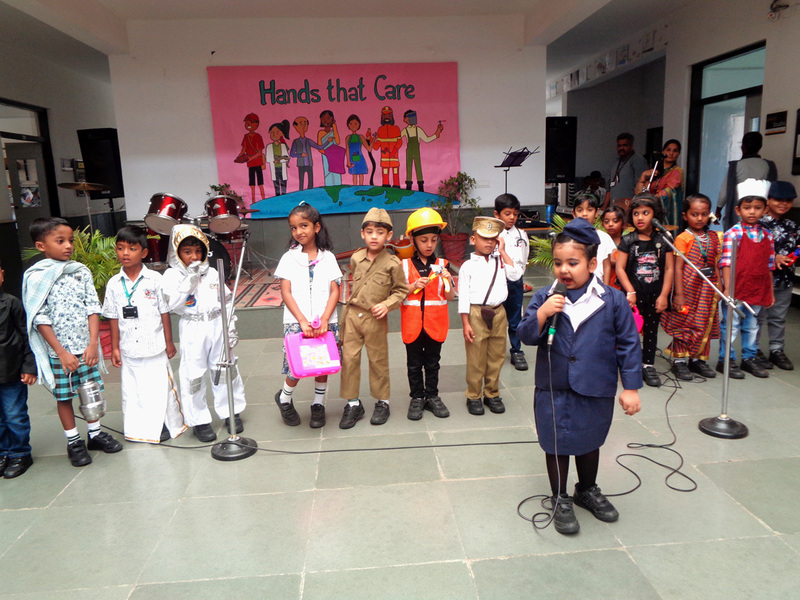 Class Presentation and Monthly activities are organised every month for the students of Nursery to I. In these activities theme based topics are covered. During the event parents are often invited to witness the teaching methodology, “learning by doing”, which is the most promoted method of modern teaching. Class Presentation is one of the best examples of the genre of modern teaching. We want to not only endow our students with the wisdom derived from books, but also encourage them to aspire more. Jashn-e-Bachpan is held every year for the students of classes Nursery to III and every alternate year for classes IV to XI in which 100 per cent participation is ensured. It is held to promote self-confidence, self-esteem and inherent talent in students. It also enables students to cherish their school life. In today’s world, academics has to be supplemented with a plethora of co-curricular activities that involve the participation of not only the students but also the parents. The parents have to keep tabs on the development of their wards not just in the classrooms but everywhere. Little things like checking the homework, noticing their aptitude in certain areas or any perceptible lapse go a long way in shaping up the destiny of a child. The parents are required to collaborate with the school to facilitate proper growth of a child. They have to adhere to the rules and regulations of the school in letter and spirit.